By now I’m sure you’ve noticed that A Sparkle Factor got a little bit of a makeover! I am so excited for you to finally get to see what I’ve been working on and why I’ve been so quiet the past couple of weeks! I had to take a little break from posting so I could sort out some backend stuff… ahh the glamorous side of blogging, right? But never fear, we are back on track and on schedule. I have a ton of amazing posts coming for you next week, featuring some GREAT (ACTUAL!) Fall looks. I can’t wait for you to see them. In the meantime, I would love for you to explore the site a bit. I wanted to make everything really easy for you guys to navigate. 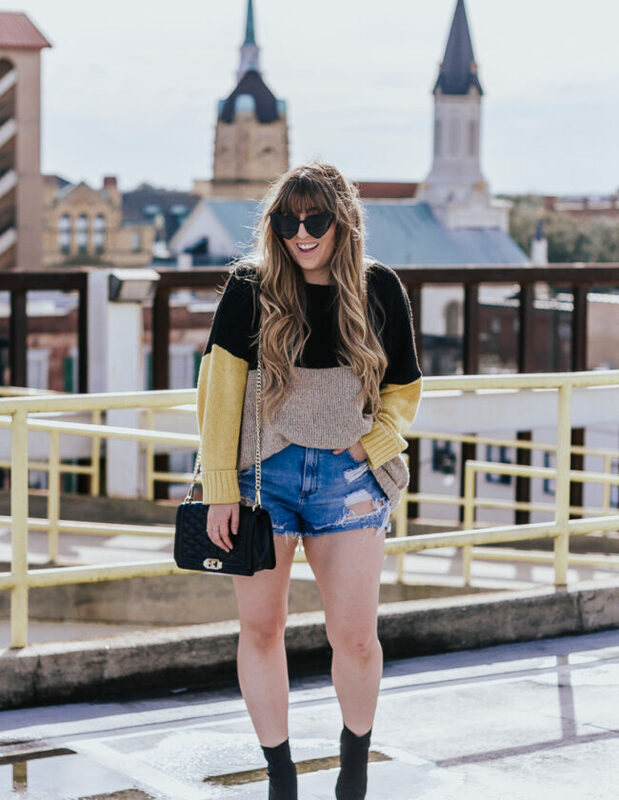 I wanted to make sure that you’re not missing any of the content I’ve produced, so there are a lot of callouts for popular and recent posts in the sidebar and an even easier way to check out my looks… click on the LOOKBOOKS tab in the nav bar and you’ll be taken straight to a page with ALL of my outfits. I’ve also categorized all my outfits seasonally, so you can be sure to check them out that way too. I’ve also streamlined my categories a bit so you can find exactly what you’re looking for! If you’re looking for a product review, a splurge vs. steal, or a good old fashioned sale roundup… it’ll be easier than ever. I’ve been running around like crazy this week prepping for my trip to Boston next week! I’m headed on a fun trip with a few of my blogger gal pals and I’ll be telling you a little more about it on Friday, so stay tuned. While running errands I couldn’t resist throwing this little black dress on. This LBD is so sweet and fun… I ordered it ages ago and ordered the completely wrong size! It didn’t fit until now… #thankyouAtkinsDiet. Major bummer though… it’s sold out! You can still add it to your wishlist and fingers crossed they bring it back! Pay close attention to the sizing. This is a small, I could definitely have gone medium! I found a pretty much identical version here that is still in stock! I love the scalloped neckline and hem! While this is the perfect date night dress, I sort of decided to take it the other way and dress it down with my favorite white Adidas and a jean jacket. Couldn’t resist a little bling, though! These earrings are my new favorite and are available in a bunch of colors. (Baublebar has them in gray, red, and periwinkle and Nordstrom has them in pink, magenta, teal, gray, and black!) LIVING for blush tones this fall so I opted for the pink version. #TYPICAL, right? 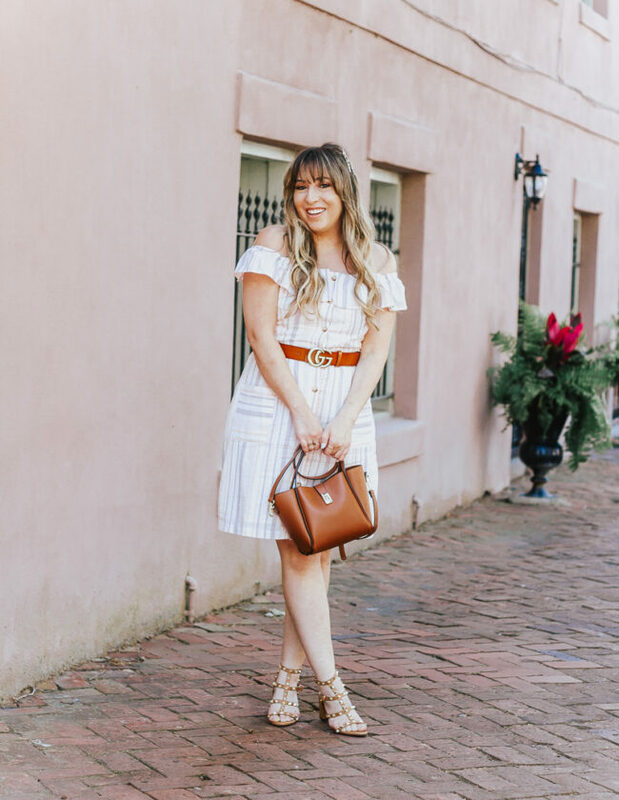 Check out my look below and then hit the comments to tell me what you think of the new blog design! CAN’T WAIT TO HEAR YOUR THOUGHTS!